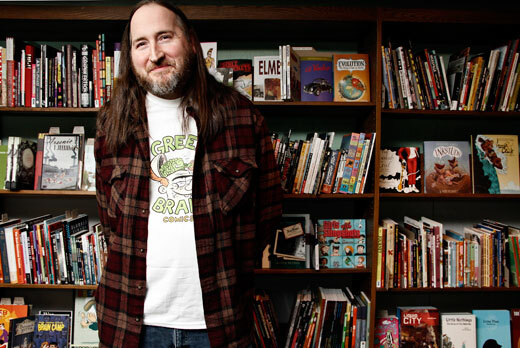 Green Brain owner Dan Merritt, along with wife Katie, are well known figures in the comix world. I'll be appearing at the awesome Green Brain Comics in the Motorcity (Deerborn actually. No one lives in Dee-troit anymore) this Saturday, June 16 at 2 pm. I'll give a slideshow, followed by a Q&A and a book signing. And this Sunday, June 17, I'll be milling about the CAKE indy comix fest in Chicago. Don't be shy. Say howdy if you see me. I'm also working on a solo signing in the Windy City later this summer. Stay tuned. Details to come.